Alyson Hilbourne, born in the UK, has lived overseas for twenty-five years and is now into her sixth country, Japan – Yokohama to be precise. She writes short stories, young adult fiction and travel pieces but would love to find the time and the enthusiasm to complete a full-length novel. And she's a diver! IMBO: Alyson! Welcome to I Must Be Off! I know only how to say Siranara in Japanese, so I’ll save that for the end. Why Japan? Hilbourne: I don’t mind where I live, but warm is one of my main criteria. Unfortunately, my husband rather fancied Japan, so we are going to experience winter for the first time in eight years. I’m also about to be reintroduced to skiing this Christmas after about 17 years. This may be a mistake. Besides writing, at the moment I work in learning support in an international school, where my husband is a maths teacher. I like helping children with literacy, it gives you a huge adrenalin rush if you’ve helped a child understand something they were having trouble with. Occasionally I have to help with maths and that is not so good for the world. I am trained to teach English to adults. I have a love of language and words. IMBO: Tell us about your writing. Hilbourne: I write mostly short stories. A couple of young adult novels are lurking at the back of my computer, but success is a great inducement and my success has come with short stories. I also find I don’t have the time to devote to things that take longer. I also write for a travel website: short descriptions of attractions, restaurants etc in the places we live. It is a good incentive to go out and explore and has provided a regular small income over the years. Hilbourne: Besides writing – I love travelling. I’ve just been to Takayama, an old Japanese town with traditional wooden buildings dating back nearly five hundred years in some cases. With the leaves turning colour it was all very scenic. I also love diving. I could happily live on a beach or a boat and just fall into the water and dive or snorkel all day. Hilbourne: I don’t think it has much, I’m afraid, except for the travel writing which is a little different. My stories could mostly be set anywhere and on the whole I think of as English. I don’t use the countries I live in as backgrounds. I write more about people and their feelings and emotions, and short stories don’t have so much scope for settings. Being abroad however has widened my reading hugely. I read books from the countries we live in, and expat friends tell me about favourite writers from their own countries so I read a wide range of literature from around the world. Hilbourne: This would seriously be my worst nightmare! I hate flying and the best thing for me is to disappear into a good book and be lost for most of the flight. Someone who wants to talk drives me to distraction. Give me a new novel by William Boyd or Kate Atkinson and I’d be much happier than if they were sitting next to me! Hilbourne: "Aliens" is a winning story with Wyvern Publishing in their 2011 short story competition. I like the idea of writing for young adults – I like reading YA fiction too. I’m very interested in playing with emotions and how people react to things. I also like fantasy, so there is often an element of supernatural or unreal in my stories. 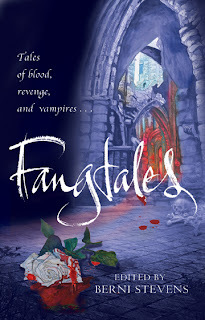 I’ve also just had a story published in Fangtales – an anthology published by Wyvern Publishing. It is available from Amazon.co.uk and Amazon.com. This is another YA story, although more lighthearted than the first one. The brief for this story was a vampire tale. I found that a hard brief with a straight face – I usually write about people being afraid of something that comes from within themselves – so my story is written slightly tongue in cheek. My heroine, a vampire, is looking for a mate and is unsure what to put in the hobbies column. “Bloodsports?” suggests her friend. 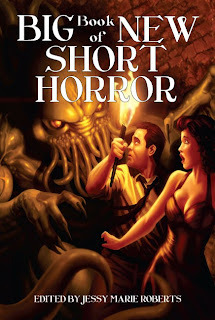 I’ve also recently been published by Pill Hill Press in their anthology Big Book of NewShort Horror. IMBO: And something by another expat author? 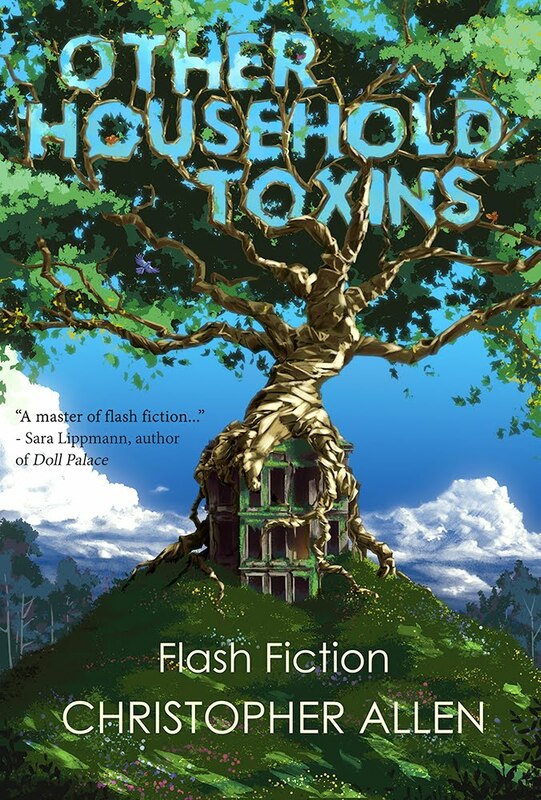 Hilbourne: I’m not always aware of things I read being by expats particularly, but being part of Writers Abroad, an online site for expat writers, and part of their 2011 anthology has been a great experience. All the writers included in Foreign Flavours are, or have been, expats and the variety in the writing is amazing. Two stories that stick in my mind are Jany Gräf’s “Schnitzeltopf Saga”, a wry story of people coming to visit and preparing her special dish, and Helen Watson’s “Cycling the Potato Road”. Hilbourne: I am always homesick, each time we move. Once the initial euphoria of a new place has worn off, I start remembering little things about the last place we lived (having conveniently forgotten all the things that annoyed me). At the moment I’m remembering how nice and warm Bangkok is (and forgetting how revoltingly sticky it is too). But really home is where all our stuff is and that at the moment is Japan. We talk about ‘going home’ each summer when we visit England and family, but it isn’t really and after a frantic tour round the country living out of suitcases and being unable to slob on your own sofa, we are glad to get back to ‘home’. I think it is at that point after a move that I make the final adjustment and accept where we are living. Alyson, thank you for sharing your writing and your life with the readers of I Must Be Off! I wish you continued success. Stay safe on those Japanese ski slopes! Siranara! 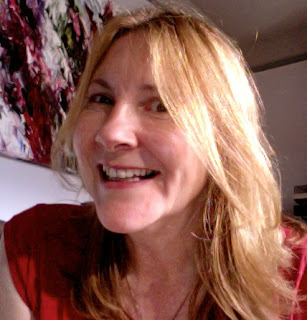 Alyson Hilbourne is an expat writer living in Asia. She writes short stories and travel pieces in her spare time. She has had ghost/horror stories published by Bridge House Publishing, Pill Hill Press and Wyvern Publications. Great interview, Alyson (even if you did cop out on the plane question!). I'm with you on the warm - hope you enjoy the snow and don't fall over while skiing! Lovely to make Alyson's e-cquaintance. Great interview, Alyson, and I hope your new posting brings you lots of fu n experiences and inspiration.